Medicine in Romania is the product of a long standing tradition that dates back to 1700. Among its luminaries are George Emil Palade, the Nobel Prize winner of 1974 in Physiology and Medicine, and Nicolae Paulescu, the discoverer of insulin. Medicine in Romania today is highly advanced and Romanian doctors are well appreciated all over the world. Romanian medical schools attract thousands of international students every year. 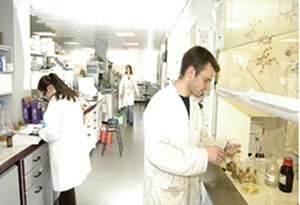 Most medical university students are attracted by medicine in Romania because of the quality of studies, the possibility of choosing the language of study (Romanian, English, French, Germany or even Hungarian), reasonable tuition fees and living cost, and a diploma recognized all over Europe and beyond. In fact the growing interest in studying medicine in Romania is linked to the development of medical education in Europe as a whole and the very significant changes brought about by the European Union. An increasing number of foreign students are heading to Eastern Europe for medical, dental or pharmaceutical studies. Though it still hosts far fewer international students than Western Europe does, the region appears to be witnessing growing interest. According to the UNESCO Institute for statistics, the number of international students attending medical schools in Romania has doubled between 2005 and 2010. This is not a trend specific to Romania. Many Eastern European countries are now attracting a growing number of international students who are interested in studying medicine. or other health care disciplines. In 2010, the fields of health and welfare accounted for 30 percent of foreign student enrollment in Poland, according to a study by the Organization for Economic Cooperation and Development. In Slovakia, 45 percent of foreign students were studying health subjects, while in Poland foreigners made up 15 percent of students in those classes, according to the O.E.C.D. study. In comparison, in countries like Germany, Sweden and Canada, where the competition for spots in medical school is especially intense, 6 to 9 percent of students pursuing those degrees are foreigners, according to that study. The main reasons for this trend are primarily that all medical qualifications in Europe are recognized throughout Europe. In addition, the growing ease in finding employment and residence across Europe enhances the attractiveness of Eastern European medical schools that teach courses in English. Furthermore, the affordability of tuition at these institutions when compared to the huge expense needed to attend top Western schools, adds to their attractiveness. Another important factor is the fierce competitiveness in finding a place in medical schools in western countries. Frequently top high school graduates are not successful in their application to study medicine. Eastern European universities that offer courses in the English language are, on the other hand, much easier to attend. It was founded in 1919 at Cluj, as part of Cluj University. 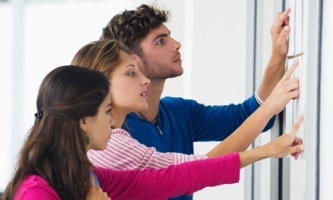 With over 850 teachers and researchers, the medical university of Cluj Napoca has undergraduate programs and several post graduate programs organized into 5 faculties. Established in 1857 as the National School of Medicine and Pharmacy by the French expatriate medic Carol Davila and became the first medical school in Romania. In 1869 it became a department in the newly created University of Bucharest. The Institute of Medicine and Pharmacy of Târgu-Mures was founded in 1945. In 1990, the Institute was turned into the University of Medicine and Pharmacy, teaching in both the Romanian and Hungarian languages. Also called Western University "Vasile Goldiş" of Arad has faculties of Medicine, Dentistry, Pharmacy, Economy, Law, Humanities, political and administration science, Natural Sciences, Engineering and Informatics, Education, Psychology, Physical Education and Sport, in Romanian, English and French (for some programs).